Great mayors, first selectman/town managers that understand the full benefits of resilient projects. Metrics to measure economic payback from environmentally – friendly projects. Community members that actively participate in local activities. A consistent and effective mechanism for town/city leadership and community members to work together to improve resiliency. Established groups that understand and support sustainability from both an environmental and economic perspective and include local Green Drinks chapters, US Green Building Council chapters, green businesses like home energy auditors and green electricity providers. You can build a resilient community. Ask me how to start! The 4rd Annual Live Green Connecticut! is scheduled for Saturday, September 14th and Sunday September 15th at historic Taylor Farm Park. Over 125 Exhibitors & Demonstrations and Shopping! Please visit our website www.livegreenct.com, to learn more about this green-living and family festival, see exciting news and developments, and find out how to become an exhibitor. Check out our full schedule of events, including panels with sustainability experts, on our Schedule page. Live Green Connecticut! will take place at Taylor Farm Park in Norwalk, Connecticut September 15th and 16th. Featured attractions and exhibits include the Ford Go Further Tour: test drive a Focus Electric and C-MAX Hybrid at LGCT! and Ford will buy you lunch! (up to $15 value) Enjoy local and organic food, Cool Kids’ Zone with endless activities, live music on the Main Stage, wind and solar displays, environmental and conservation organizations, and sustainability experts. See alternative fuel vehicles including Tesla, Mitsubishi MiEV, Chevy Volt and Nissan LEAF, landscape and garden centers, green careers and education, eco-art, eco-fashion, and fun and friendly atmosphere! Check out the schedule of events for more information about special guests, speakers and musical line-up. Keynote speaker is DEEP Commissioner Daniel Esty. Sponsors and Community Partners: Live Green Connecticut!’s sponsors and partners include Xerox, Ford Go Further, SolarCity, Pareto Energy, Pitney Bowes, Energize Connecticut, Nestle Waters North America, E Magazine, CT Environmental Headlines, Natural Awakenings-Fairfield County Edition, The Green Living Guy, Keep America Beautiful Greenburbs, EarthGarage , Bikes Belong, Fairfield Green Food Guide , SoundWaters, and GreenTowns. Live Green Connecticut! is a fun-filled two-day festival which will promote environmental education, business, non-profit organizations, green technology, recycling, conservation, health and wellness, climate protection and sustainable living. Eco-friendly businesses will showcase their green and sustainable products and services. Individuals and families will come away with money saving tips, new ideas and a thoroughly enjoyable experience for all. Admission is free! Please visit: www.livegreenct.com. Live Green Connecticut! Where Green Meets Mainstream! LGCT! is a 501 (c) (3) public charity. Be an influential part of local change and national awareness. Start an initiative or share your expertise with others. Submit your green initiative HERE. The 5th Annual Green Coast Award winners will be announced Wednesday, November 23rd, 2012 at the 5th Annual Fairfield County Green Faire at Grand Restaurant and Lounge in Stamford, Connecticut. In 2011, twenty-eight businesses, organizations and individuals were honored and a recognized at both the Green Faire in Stamford. Voting for the Green Coast Awards is done online at GreenCoastAwards.com from January 1st-November 10th. All winners are reviewed for their contribution to sustainability and approved by Matt Turek, Director of the Green Coast Awards, as well approved by the Green Coast Award advisory committee. “This year’s 28 Green Coast Awards winners represent all areas of sustainability, and demonstrate that Connecticut is on its way to building a more sustainable infrastructure,“ said Mr. Turek. Recognizing a growing interest among local residents and businesses for protecting the environment, the Green Coast Awards, an initiative of Conscious Decisions began in 2007, to support and promote local sustainability and eco-friendly living practices. For a complete list of winners, visit the Green Coast Awards. 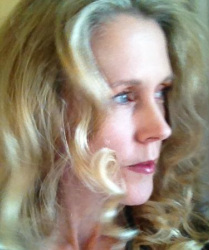 Educating the public on sustainable and holistic living through initiatives and events. Join this national movement to reduce plastic in our environment. 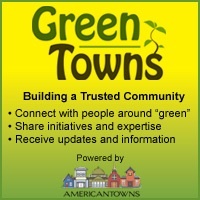 Check out the initiative on GreenTowns. Home Energy Solutions, is a program administered by Connecticut Energy Efficiency Fund, and helps to support energy audits in Connecticut, that help to substantially reduce energy costs as well as help keep our environment green. Energy audits can include replacing tradiitonal light bulbs with energy efficient bulbs, blower door tests, checking for leaks in oil or gas tanks, adding insulation and caulking holes. Although I am not the religious type, I must admit that I am “born-again.” No, I have not joined a church, or a cult; I have joined the millions of people who have decided, seemingly overnight, to go green. And though I am not the trendy type, this is one fad I don’t mind going along with. In fact, I consciously go along with it… And believe that at some point, it will become less of a fad and more of a way of life. This movement really started decades ago and has been gaining strength for some time. Are you old enough to remember the “Keep America Beautiful” commercial? campaign? Well, I had that bumper sticker on my bike! But as I recall, I was the only one in my neighborhood who knew about Woodsy Owl. Now, companies are actually tapping into the green movement, which has helped turned green into a mainstream event. Trendy, hip and cool to be green? Absolutely! And, if the end result leads to a healthier planet, we are all better off! Conservation is a term of the same ilk as freedom, justice or faith – vastly broad and encompassing, yet capturing a specific emotion, mission, or belief. The earliest conservationists were nomadic people who utilized every last part of each and every plant and animal resource they harvested, following these practices due in part to utility and survival, but also in part to an intrinsic respect for nature and the gods who they believed created it. The contemporary conservation movement is as multi-faceted as it is momentous, attacking issues ranging from the protection of natural resources and endangered wildlife to recycling, renewables and energy conservation and technology. The various groups behind this network of causes are linked by a common respect for the natural world and an interest in defending it from the potentially drastic impacts of human interference in fragile ecosystems. The good news about the climate problem is that everyone can help, and the first step in confronting any challenge is to get educated. You can learn how to recycle the various food packaging materials that you and your family frequently use (soup cans, yogurt containers, beverage bottles etc.) at local recycling centers. Weatherizing your home to reduce energy loss or installing solar paneling to produce power locally are steps that reduce energy consumption and can drastically reduce costs, effectively paying for themselves in a very short timeframe (especially given the solar tax credits currently available). As the conservation movement continues to gain social and political momentum, demand for new technologies and products related to clean energy and resource reallocation is growing consistently. Regulatory requirements that are likely to take place domestically and internationally, in both the short and long-term, suggest that this demand curve should increase even more dramatically as large institutions across various industries are forced to change the way they do business. The conservation movement is not just socially and environmentally responsible, it could be the primary engine of America's future economic growth.